The first thing you need to know is, it’s all VOIP. VOIP means “voice over internet protocol” or more commonly, it’s just called “voice over IP.” It means, using the internet to make phone calls. This doesn’t just mean things like Facebook Messenger and Skype. The truth is, pretty much all calls made today are over the internet at some point. In most cities and suburbs and even in many rural areas, fiber optics have replaced copper wires. Any time that happens, you’re using VOIP. When we talk about VOIP, though, we’re usually talking about office phone systems, because they’re the things that actually need hardware to function. No one much talks about Skype or WhatsApp or any of the apps that do VOIP, because basically you download them and they work. On the other hand office phone systems have always been complex and required a lot of programming. Now that’s all done with VOIP. Many offices transitioned from old-style phone systems to VOIP in the period between 2005 and 2015. That’s when the hardware started to get cheap and offices started getting high-speed internet anyway, so they could devote a portion of that to phone services. Most customers saw a much lower phone bill, and investment was lower in general once you finished paying for the phone hardware, programming and installation. VOIP systems don’t use traditional phone wiring. Instead they usually use network-style category 5 or category 6 cable and phone calls travel over the same network lines as e-mail, web browsing, and other network services. If you can answer phones using a headset connected to your computer, if you can forward calls to a cell phone as if it were an extension, if you can connect a phone to any network port… these are all signs you have a VOIP system. 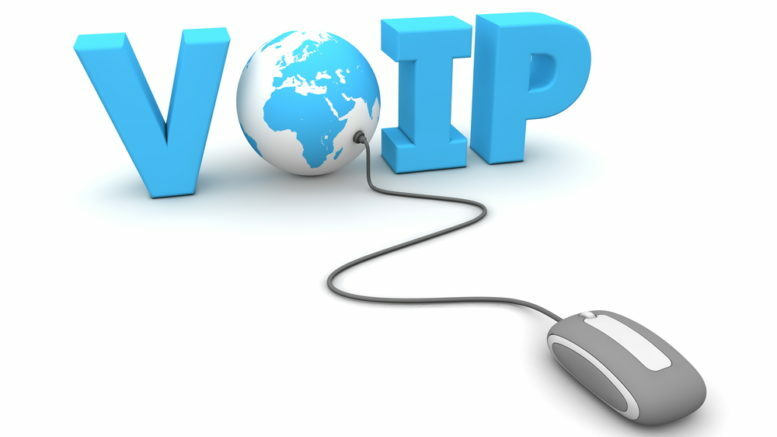 The downside to VOIP systems is that since they travel over the internet they are prone to some of the same problems as your other internet services. If your internet goes down, your phones go down. If your office comes under cyberattack (this happens to many different kinds of companies) your ability to take phone calls is compromised. But those are rare instances and for the most part VOIP is much, much better than regular phone service. Solid Signal doesn’t sell whole VOIP systems but we do offer a wide variety of VOIP accessories, including phones and back-end accessories for installers and physical plant managers who want to keep a system running. Check out our selection! Commercial Installers: Should you prewire for 4K now?